Business security systems have taken a massive leap in capabilities, reliability, and affordability in the last few years. That’s why it’s critical to upgrade your commercial security systems for the digital age. Vyanet Security can provide affordable, custom business security packages. Whether your business is large or small, Vyanet’s business security services are designed to give your organization the protection and control you need. To give you peace of mind, we will customize your security experience to protect your employees and customers based on your budget. Vyanet Security is Southern Oregon’s leader in commercial security. Our state-of-the-art commercial security systems are feature-rich and use leading-edge technology such as wireless communication, mobile apps, remote access, and modern hardware. Using these tools, we provide in-house alarm monitoring, high definition video surveillance, business access control, intrusion detection, and more. If you’re looking to upgrade your business’s security in Grants Pass, Medford, or most of Southern Oregon, then contact our team. Call 541-295-3223 for your free security review today. Our team of professionals uses the latest technology to make sure your business is as safe as possible. Keep your Southern Oregon employees, customers, property, and inventory protected from danger, theft, fire, and damage. With Vyanet alarm monitoring, we monitor your business 24 hours a day, which means we’re always ready to respond at the first sign of trouble. Unlike most Southern Oregon commercial security providers, Vyanet provides its monitoring services in-house. That means Vyanet clients will always receive the best service and fastest dispatch times in the industry. Our local monitoring center is CSAA Five Diamond Certified, UL listed, and ULC and FM approved. Whether you are in Grants Pass or Medford, come on board with Vyanet Security’s team of professionals. Our business security services keep a steady, watchful eye on your business so you don’t have to worry. Instead, you can focus on running your business and keeping your employees productive. Protect property and personnel at a comprehensive level while gaining back valuable time, productivity and efficiency as a business owner. Here at Vyanet Security, we understand the importance of protecting your business from both external and internal threats. That’s why we provide many different business security services to protect your organization from all angles and at all times. Importantly, we understand that many small businesses have a tight security budget. Our security consultants can help you choose the exact business security services you need, resulting in an affordable commercial security system. Commercial burglar systems. Keep burglars away and prevent unauthorized entry with a commercial burglar system based on the unique layout of your building. HD Video surveillance. It isn’t enough to know someone has tried to break into your business. It also helps to be able to identify faces and license plate numbers to report it to the police. Combined with remote-access and mobile apps, our business video surveillance provides the ultimate protection. Business alarm monitoring. Your intrusion detection and alarms are only as good as your monitoring, and our monitoring systems are industry leading. In addition, you can monitor your business for dramatic temperature changes, fire, or water damage. Access control systems. Keep unauthorized personnel out by using access control systems for additional security. Reliable communication. Communication is key when it comes to security. That’s why Vyanet Security provides 24-hour communication between your security systems and our central monitoring station. We can also provide instant alerts if we notice something sketchy. Remote access. Keep an eye on your business wherever you are. 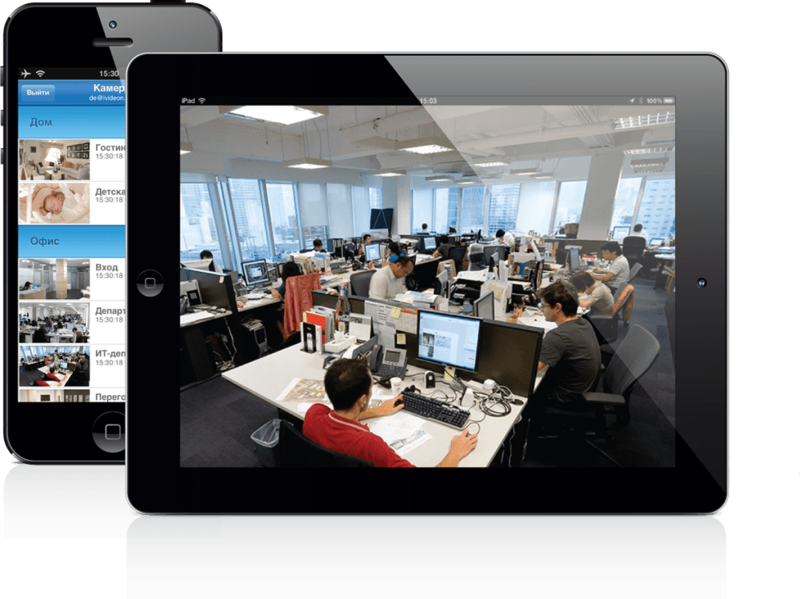 With remote access, you can control your business’s security system from anywhere. Contact Vyanet Security today for your free on-site business security assessment. Let our security consultants’ expertise educate and guide you towards picking the best business security system solution. Call 541-295-3223 for your free commercial security review today!